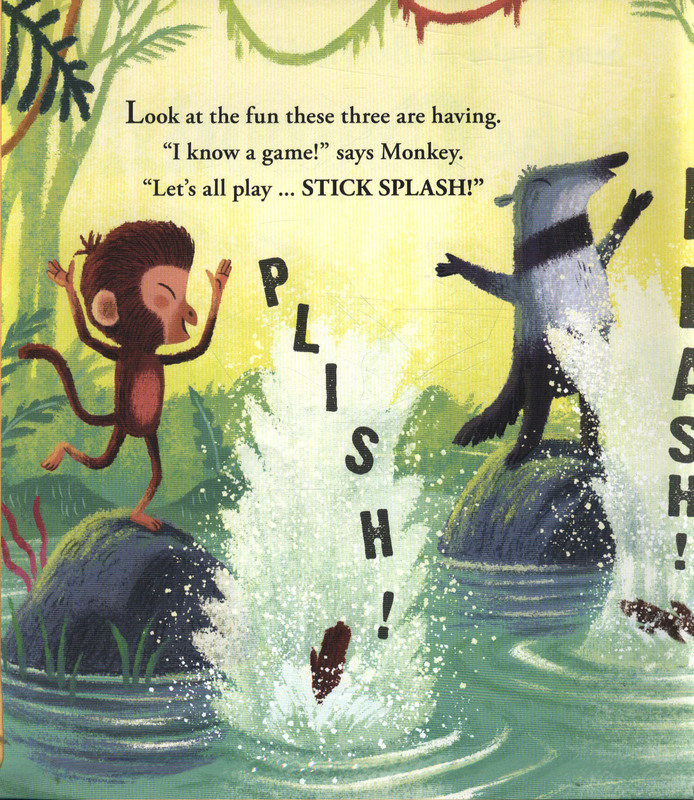 A story which introduces a brand-new GAME ... a game all little monkeys, tortoises and anteaters will want to play!Down in the jungle, three best friends - Monkey, Tortoise and Anteater - are playing silly games together. 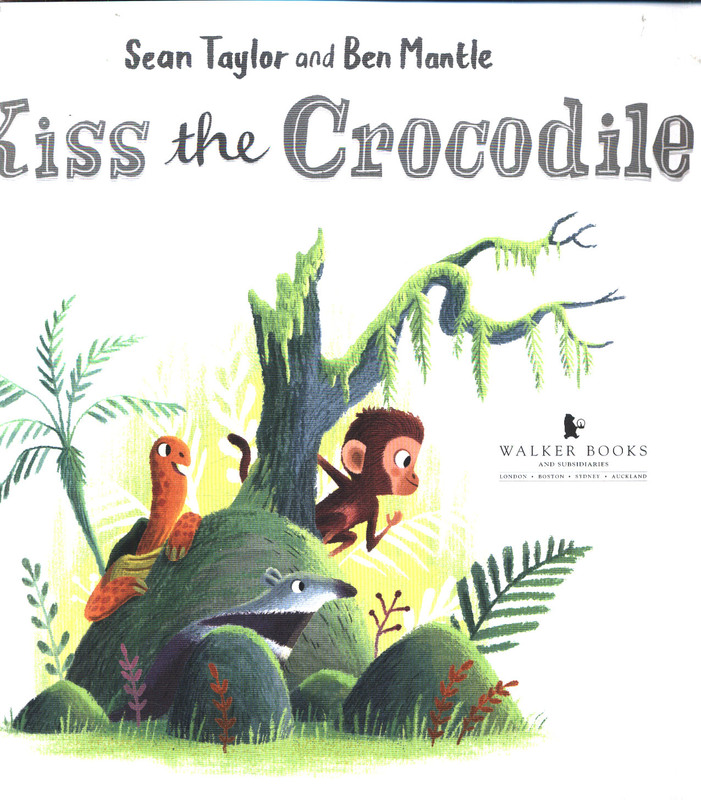 After Stick Splash, Scary Monsters and Silly Dancing, they spy Little Crocodile and his big crocodile mum in the swamp. 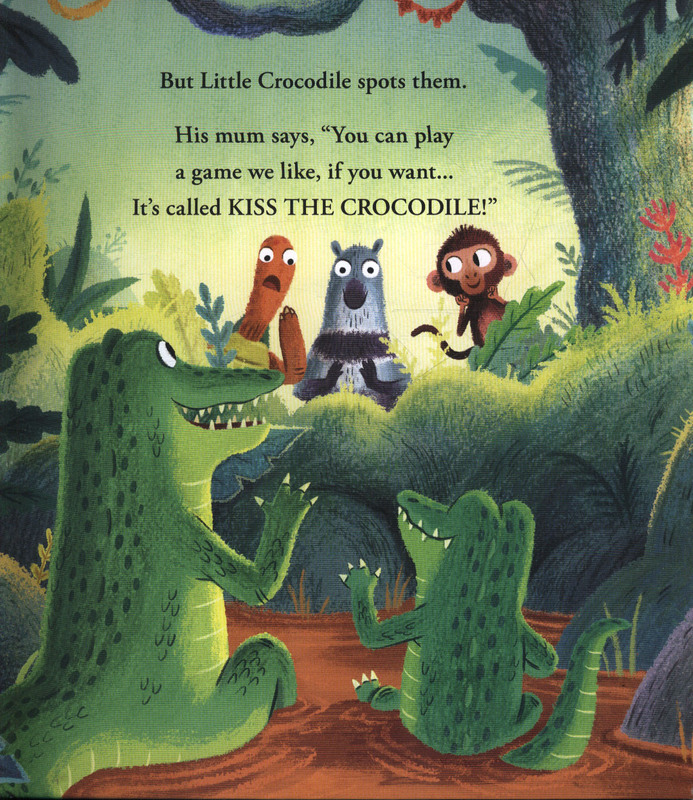 Do they want to play a new game, Little Crocodile asks ... a DARING game. 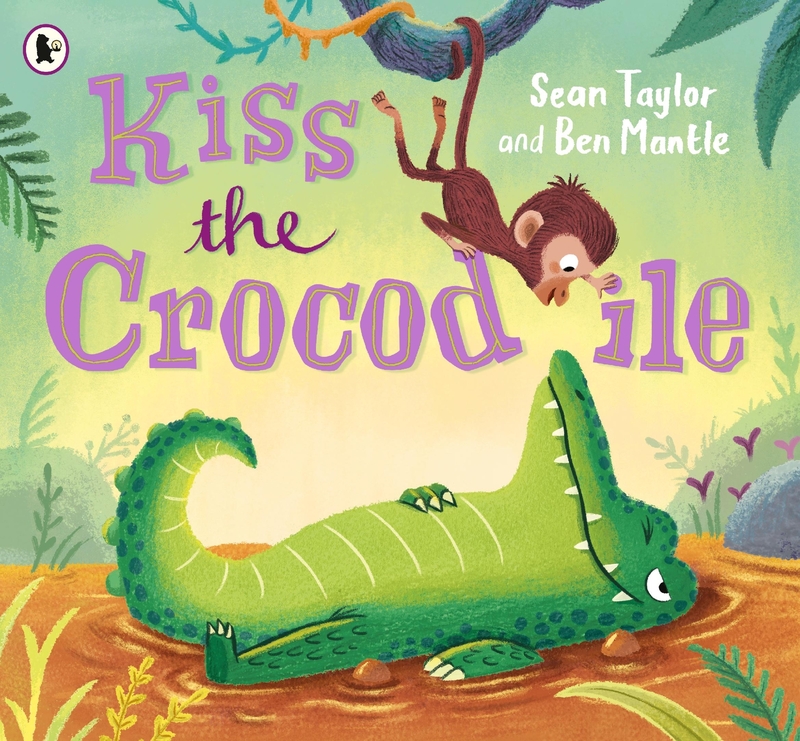 KISS THE CROCODILE! 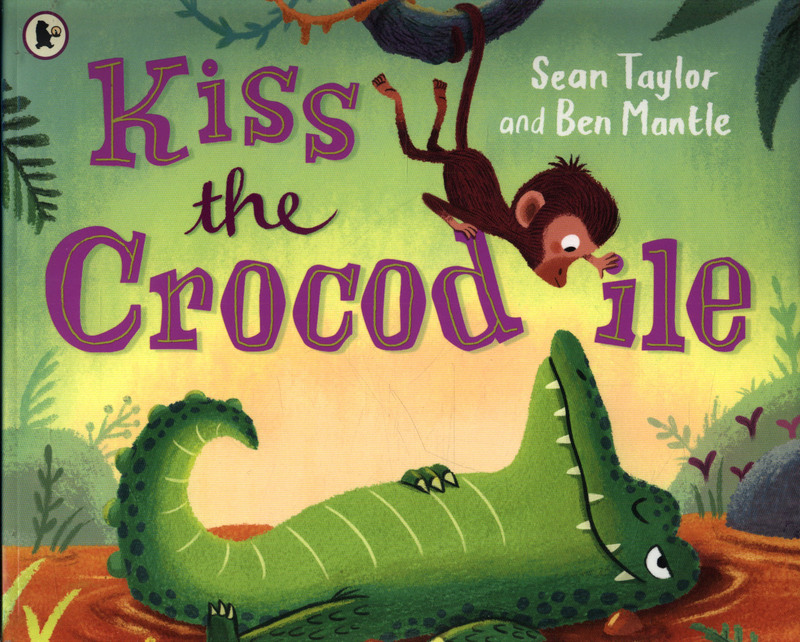 Who will be brave enough to steal a peck from the 'sleeping' croc, with his big tail, pointy teeth and sharp claws? 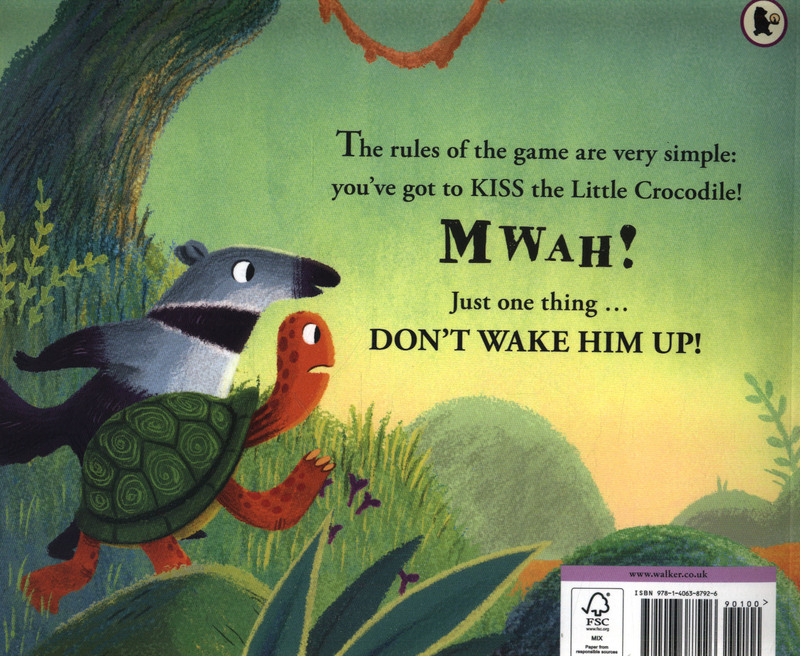 MWAH! 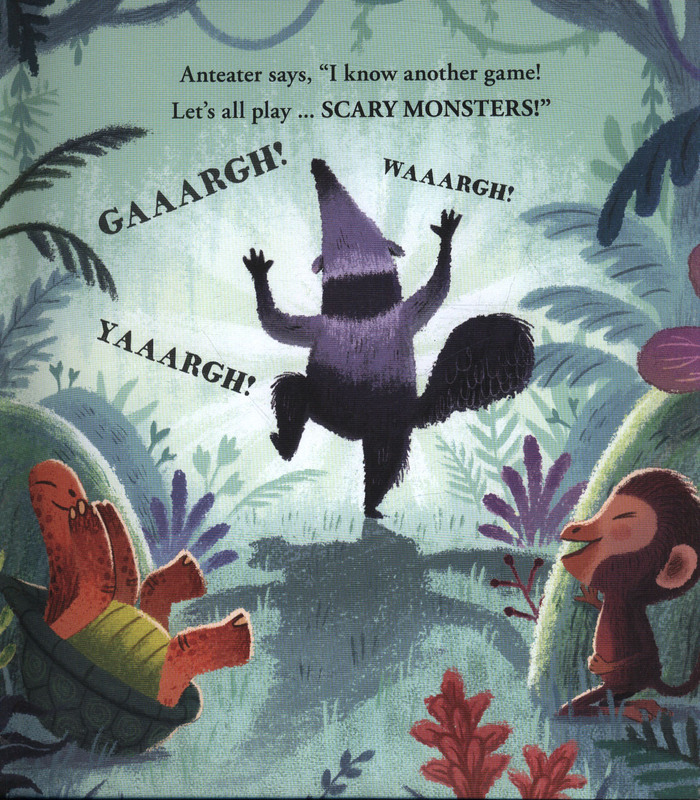 Brimming over with the thrill of friendship and play, this hilarious new story from the author of Hoot Owl, Master of Disguise demands to be re-enacted, and is the perfect match for the animated, visually-rich artwork of Ben Mantle, illustrator of Follow the Track All the Way Back.